I like this seller -- he's a collector himself, so most of his items are genuine and often supported by catalog references. SennaGTS and cptwalker like this. Not the watch this time but the strap. This strap was on another 3017 when it arrived but had some bits missing. Anyway as I've got small wrists I've managed to make it good and it fits me. Could this be an original strap ? It certainly fits it well, although a gap appears when it's on my wrist. This could be my fitting , or small wrists I'm not sure , it's fine on a cushion. I'm not sure it will be staying on mine , but it is for today because it's a right little bugger to fit. Russ Cook and schnurrp like this. 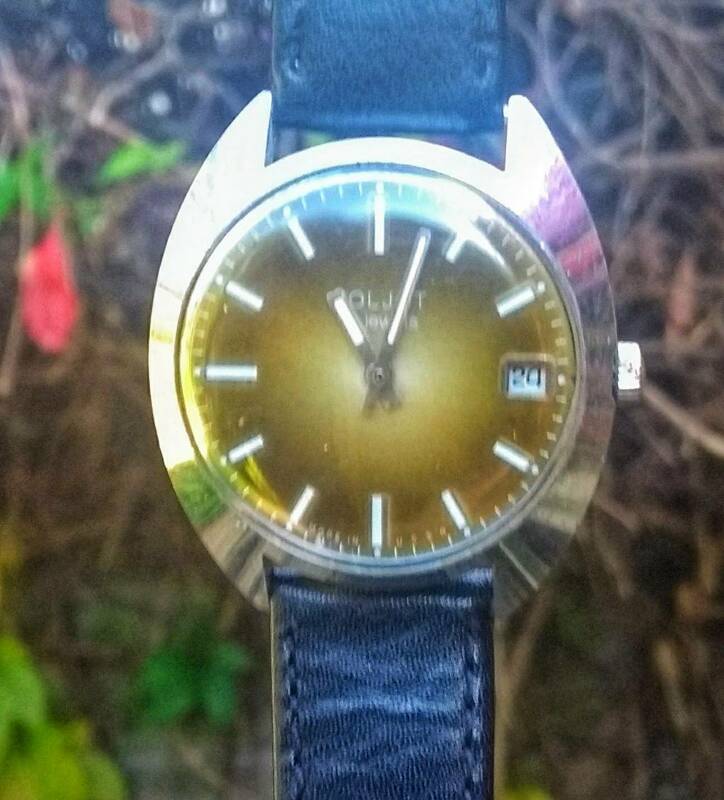 Could this be an original strap ? Definitely seems (very, very) possible to me. kev80e, Arizone and VWatchie like this. VWatchie, mroatman and cptwalker like this. That soon solved that one. Cheers Dashiell. Think mine will go back to the leather one though. What's this case? Is it genuine? It's rare but original, affectionately called the "bottlecap". Neruda and schnurrp like this. Understandable, but definitely hold onto that original bracelet. It's a treasure in any condition! I just acquired a 17 jewel Poljot. It's in suspiciously good nick, but the thing that struck me was the missing second hand. I didn't notice this in the listing. I opened the back up and found a 2614.2H movement, again very clean. Last edited by NuttySlack; September 30th, 2017 at 12:29. I wouldn't mind owning this NOS Operation Desert Shield, but I have a few questions and a concern about it. 2. Is $450 a reasonable price? If not, what would be? I feel it's a lot of money, and I'm not sure I'm ready to pay it even if it is reasonable. 3. The movement appears to be a 2416B (31 ruby jewels), but the oscillating weight says 21 jewels as do the case back. As far as I understand this doesn't pose a problem as the reversers' jewels weren't counted in those days, or they were steel rollers? Anyway, for $450 an authentic movement is an absolute requirement. I must say, I really like that sand colored lume!